As an expat woman I am interested in stories of other women that made it in Luxembourg. I will not hide it, for me adapting to Luxembourg was and it still is hard. I still don't feel like Luxembourg will be my forever home, but a transit location and it's up to me to evolve and gather as much experience as possible and focus on the positive stuff, but Luxembourg is not for me. 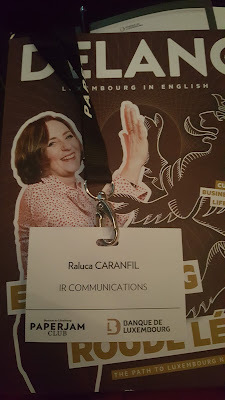 I know it's mine and no one else's fault, I know it's all in my head, but these kind of social events help me find a group that I belong to, because I am not the only one English speaking woman who could not adapt to Luxembourg, despite English being more and more influential every year. 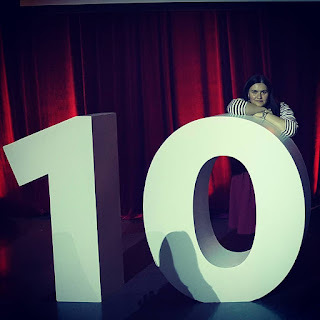 To put it short, the event, 10x6 Expat Women Conference was a networking event besides a conference. If you are familiar with TED conferences, this was sort of similar. There were 10 women who had 6 minutes to tell their success story in Luxembourg. Some of them were really high in multinational businesses hierarchy, some were freelancers, but their common point was that they all felt that Luxembourg is now their home. They adapted to Luxembourg and they raised valid points or pointers for someone who might want to do the same. After the 10 speeches I was left with the hope that I could someday consider Luxembourg home, that it is possible, that Luxembourg has some advantages and most important that I am not alone in this. 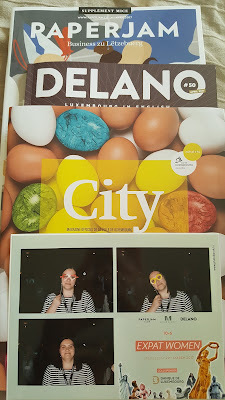 After the whole shebang I'm left with a lot of advice and three magazines and a picture made at the photo-booth provided by the organisers. Here is my tag, which I had to give back to the organisers. If you made it here and you are still wondering what I am talking about, here are some useful links related to the event. 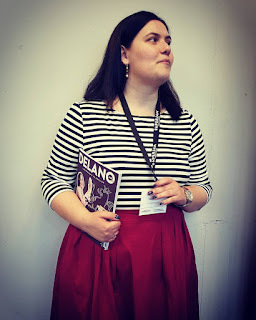 And I do encourage you to follow this link: http://paperjam.lu/videos/ekaterina-volotovskaya-course-we-have-adapt You will find the interesting tale of a Russian woman who had to change to fit in her very restrictive business sector, but still managed to keep part of her native culture. I loved her! If you like my article check my Facebook page, Dichisuri.ro.